This is a positive, uplifting article aimed at ADHD parents. The article includes 25 easy to read bullet points. 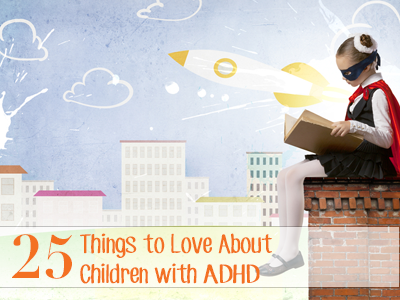 The points include good qualities of children with ADHD. For example, how they can find order in chaos and how they want to help others. The article also adds humorous thoughts such as ADHD children being “willing to explode”. This is a nice article for parents who need encouragement.